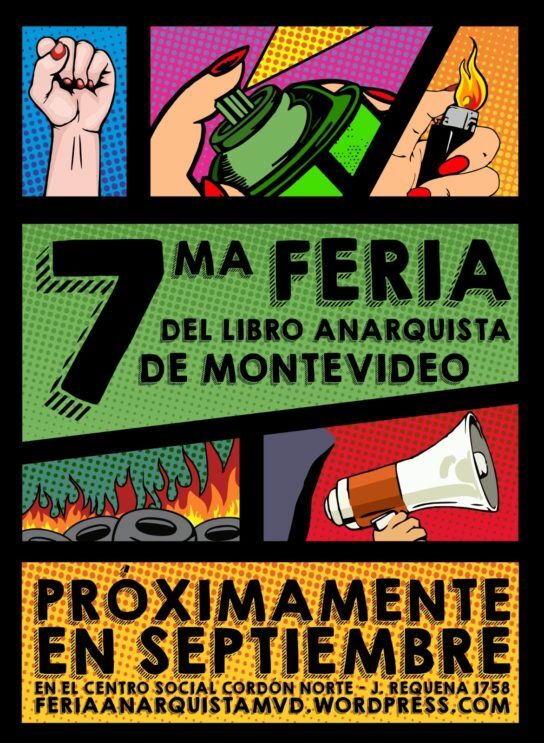 From Montevideo-Uruguay, we invite all to participate in the 7th Anarchist Book Fair. The machine of capitalism continues its colonization in every sphere of our lives, commodifying relations and ravaging the eco-system. Civilization remains framed in its routine of production and consumption, while development is making surveillance and repression devices increasingly sophiticated – targeting all that break the imposed codes and change normality. We live on times of over-information, where the media are increasingly efficient in the task of forming absolute truths, built through reports that promote fear and submission to those who make the game of state domain. The blindness put together by the spectacle`s media show is growing, generating a focus of attention manipulated and trimmed to the taste of the powerful. This ensures even more dependance and adulation to punitive and repressive institutions, as well as favoring old-style military and “hard hand” mechanisms, which are another symptom of social decomposition. The planet is at the stage of environmental collapse, fruit of capitalist productive methods that overwhelm the surrounding environment, causing a systematic decay whose consequence is the murder and impoverishment of life. While democracy offers a reassuring policy based on dialogue and mediation, right or left wing governments offer different ways to administer the same misery, leaving a free reign for exploiting macro-enterprises and multinationals. Reformist solutions spring up everywhere as sleeping pills, giving rise to the rearrangement of a system that perpetuates its hegemony and achieves a more benevolent and acceptable coverage. As anarchists and anti-authoritarians, our position must remain firm and sustained. If we want to be protagonists – pregnant with change, heading for a world of reciprocal solidarity – where each individuality lives with the rest in total freedom, then we must fight the capitalist monster in all its facets and variants. Confrontation is inevitable – as long as we mantain intact the conviction of transformation – but we should think strategically. 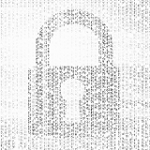 Drawing a revolutionary practical imaginary in the present is a necessary and vital challenge – since taking responsability for a world that breaks down into pieces requires an incorruptible commitment, where halftones don`t work. That why we call to the 7th Anarchist Book Fair, to carry out instances of reflexion and dialogue that feed our capacity to make contact with the present – since now is when we have to exercise to develop a creative force that opens to another way of life. We have to rethink the dynamic ways of defending ourselves from the powerful and their puppets, from the responsible for the devastation. It is time to expand and propagate the transformative practice as a potencial for a life in freedom – opposed to the interests of politicians and businessmen who seek conformist approval. Installed passivity must be replaced by a lively and rebellious attitude, which spreads the desire for change, which infuses the reaffirmation of the foundations of horizontal self-organization, as a generalized model. We still have a lot to think about and project in this direction, because lowering guard and resignation is no option for freedom lovers.